The GMT Union has hit out at Northern after it cancelled around 80 services across its network on Sunday. 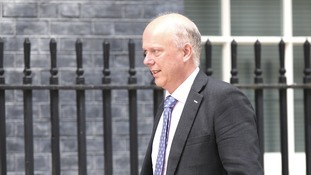 The Mayor of Manchester is calling on the Prime Minister to step in and end the rail chaos in the North of England. 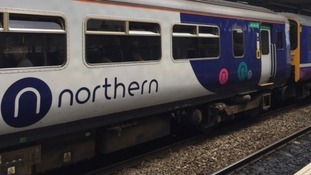 Seventy-five per cent of services that were removed as part of Northern Rail's emergency timetable will be reinstated today. But after more cancellations yesterday Andy Burnham says he sees no signs of improvements. Hundreds of trains were cancelled or delayed on Sunday amid staff shortages blamed on the World Cup and hot weather. Northern services were disrupted on Sunday as fewer train crews than normal agreed to work. There was a chance that England could have been playing in the World Cup final at 4pm, until the team lost on Wednesday. Full refunds are available for holders of Advance tickets, or passengers can use tickets on Monday instead. The train operator said it is "likely" more services will be scrapped, with Cheshire, Lancashire and Greater Manchester faring the worst, and Yorkshire also affected. A spokesman said "many Northern staff have made themselves unavailable for work" on Sunday. Northern rail is warning of train delays on Sunday after a large number of staff booked the day off to watch the World Cup final. A protester dressed up as a chicken wearing a mask of the Transport Secretary as part of a demonstration outside of the conference. On this month's Granada debate we investigate the regions rail crisis as well as why the North West has some of the highest childhood obesity rates in the country. The decision to bestow a royal honour on the Network Rail boss despite huge disruption for train passengers has been criticised.